The internet is the primary source of information for great swathes of people today. Students trawling the web for academic sources; professionals looking for facts to back-up their business plans; casual surfers looking for a software solution or more background on the latest must-have digital product: these are just some examples of folk who are out there in their millions right now, searching for the wisdom they need. But how many are really taking steps to learn in the most appropriate way for themselves – and how many are just randomly Googling in the hope of enlightenment? In fact, many of us fail to learn from the information that we turn up online because we thoughtlessly follow the given way of doing things without thinking how we personally learn the best. For example, many people will default to Wikipedia when researching a famous person, organization, or even scientific theory – yet while Wikipedia does contain some great illustrations, it’s largely a text-based resource. On the other hand, many people learn more quickly and more thoroughly through engaging with visual resources, listening to experts speak and taking part in group discussions, or just picking up the relevant tools and getting on with the ‘doing’ of things. Indeed, expert Neil Fleming lists these learning styles – visual, aural, and kinesthetic – as being legitimate equivalents to a more textual form of learning, and suggests that we can profit from figuring out which learning style best suits us rather than defaulting to reading and writing. 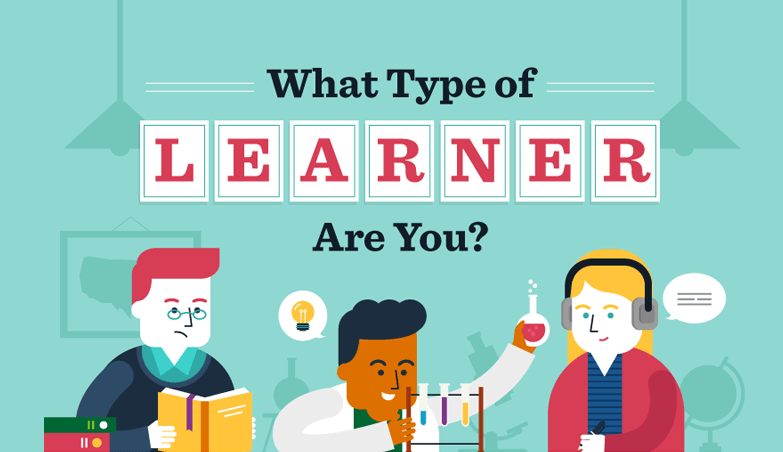 So if you want to get a bit more out of your online research, have a look at this new infographic from PoundsToPocket – it can help you identify what kind of learner you are, and the next steps to take if you want to lift your learning skills to the next level.